About Some Planets - Kyon Hote Hai Grah Vakri? Planets have different positions. Planets have three types of speed. They are adherent (Margee), crooked (Vakri), and trespass (Atichari). When planets are moving with their normal speed then it is known as Margee. When planets are moving with high speed then it is known as Atichari. However when planets are moving backside with speed then it is known as Vakri. Planets never move backside however it creates shadow due to their speed. This shadow is called as Vakri. Their results would be changed due to their shadow. When planets are Vakri then it affects two natures. It impact on many other factors. Planets become strong in Vakri position. However, Sun and Moon never become Vakri. While Rahu and Ketu always remain Vakri. Mars: A person has courage. He may become good surgeon. If it has bad planets effect then person may do criminal activity. In this case, you have to do fast on Tuesday. You have to intake fruits and water. Also go to the lord Hanuman’s temple and worship him. Mercury: Person would be very clever. He tries to get money anyway. However it has impact of bad planets then person would become selfish and poor. In this case, you have to donate green stuff on Wednesday. Jupiter: It makes person spiritual and intelligent. He gets success in his life. However he has to do struggle in his life. It also creates problems in their marital life. In this case, you should worship lord Shiva. Chant “Om Namah Shivay” 108 times in morning-evening. Venus: It makes person attractive and beautiful. Person would get success in glamor field. However, it makes person character weak. He/she does not get right life partner. In this case, you should chant lord Sun. 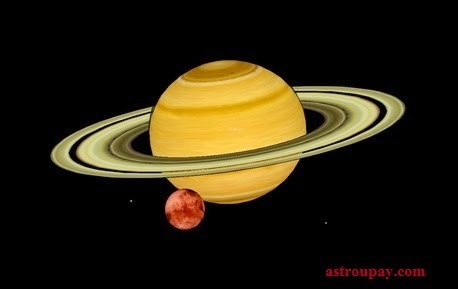 Saturn: It makes person a king or poor. It gives results of their previous birth. A person would be extra-ordinary since his birth. You have to plant peeple tree. Extra Remedy: Thursday is very auspicious day. You have to chant 11th chapter of Bhagwad Geeta. All problems will remove.